Puppy taken in for vaccination. 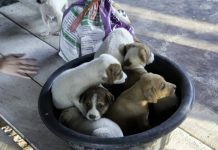 The Hope for Strays Foundation is a dog shelter located in East Pattaya. Although registered as a non-profit organization in June last year, all of those involved have been helping dogs in the area for years. 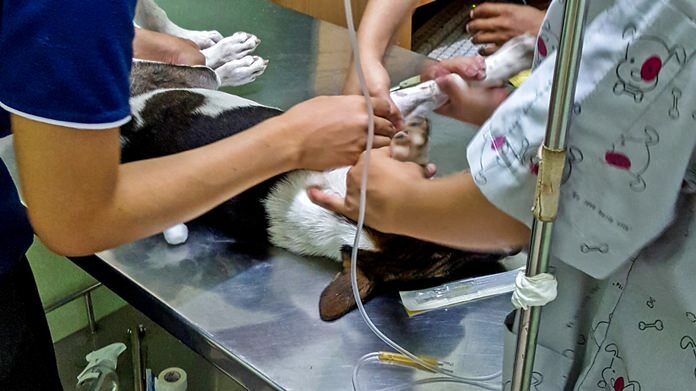 In the past year, with limited resources, Hope for Strays has sterilized 136 dogs, vaccinated more than 200 and made almost-daily trips to local veterinarians for treatments ranging from normal diseases and minor injuries, to cancer treatments and major surgeries necessitated by car accidents. 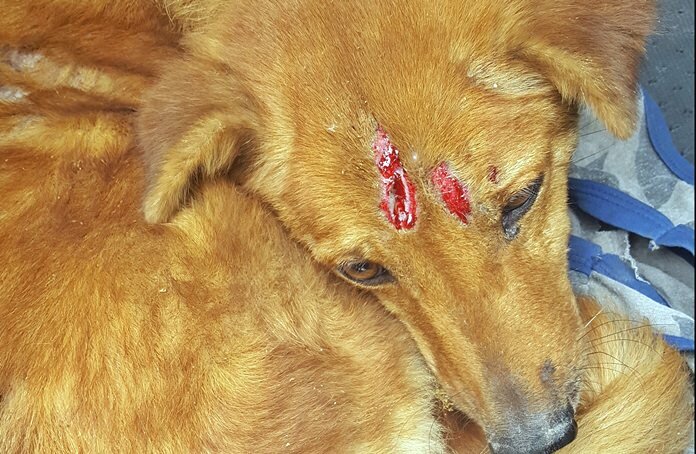 Along the way, the foundation has given a home to dogs that could not survive on their own on the streets. They now have more than 150 dogs in their care at three locations. Most have been taken in as puppies after either having been abandoned or stricken with life-threatening diseases. There are several very old dogs that staffers are making comfortable in their last days. 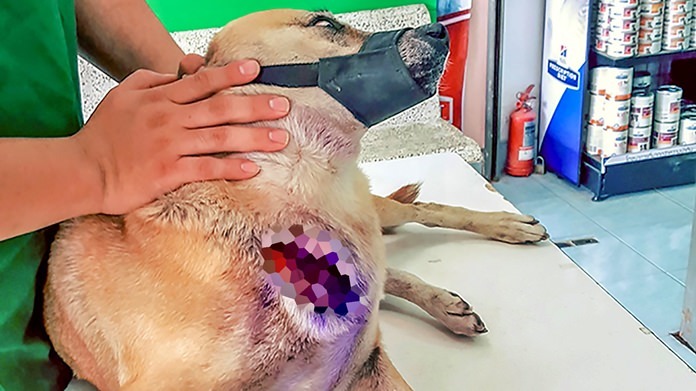 The foundation also is looking after several severely handicapped dogs and have taken in a number of canines that were at risk of being poisoned by neighbors. The foundation’s stated main goal is to find homes for the dogs. 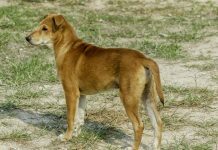 However, the shelter is becoming overcrowded, creating a high-stress environment for the dogs and the people who live near them. Hope for Strays has received several threats that the dogs would be removed due to noise complaints. If they are, it will mean a trip to the pound from which few dogs return. 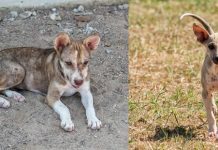 Hope for Strays has leased a one rai plot of farmland with the goal of building a base for a proper shelter, with safe, clean kennels for the dogs, with room for them to exercise, a small veterinary clinic and isolation kennels for sick or injured dogs undergoing treatment. Construction is ongoing and the foundation is seeking donations to complete the work. For more information, see Hope for Strays’ Facebook page at Facebook.com/HopeForStraysThailand and/or their website at HopeForStrays.org or call Som at 089-158-8345.